If you want an energy-efficient, environmentally friendly AC unit from the leading manufacturer in the world, the choice is simple. A Carrier air conditioner is the system for you. Carrier Corporation was founded in 1915 by Willis Carrier, the designer of the first modern air conditioning system. For over 100 years, Carrier has provided the best quality, superior performance and outstanding innovation, and a Carrier system will provide you with quiet, energy-efficient comfort for your home or business. Caldeco Air Conditioning & Heating is proud to be a Carrier Factory Authorized Dealer and your hometown Carrier air conditioning expert. We are a family owned and operated business that has served the air conditioning installation, repair and maintenance needs of homeowners and business owners throughout the Tampa Bay area since 1989. Over the years, we have received numerous Carrier Corporation awards, accreditations and more. We are a member of the Carrier Distinguished Dealers group of elite HVAC specialists and have been awarded the prestigious Carrier President’s Award four times. 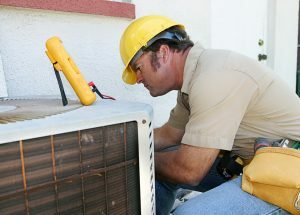 Purchasing a new AC system for your new home or business or replacing your current AC unit in Tampa, Wesley Chapel, Brandon, Westchase, Clearwater or neighboring regions can often be hard on the budget. At Caldeco Air Condition and Heating, financing is available for those who qualify. This will allow you to buy and enjoy your Carrier air conditioner now, while paying over a period of time. The Carrier credit card offers you monthly payments plans, special promotions and a revolving line of credit. Contact us today for more information on financing a new air conditioning system.